← INTRODUCING THE HRH BLANKET CLUB! 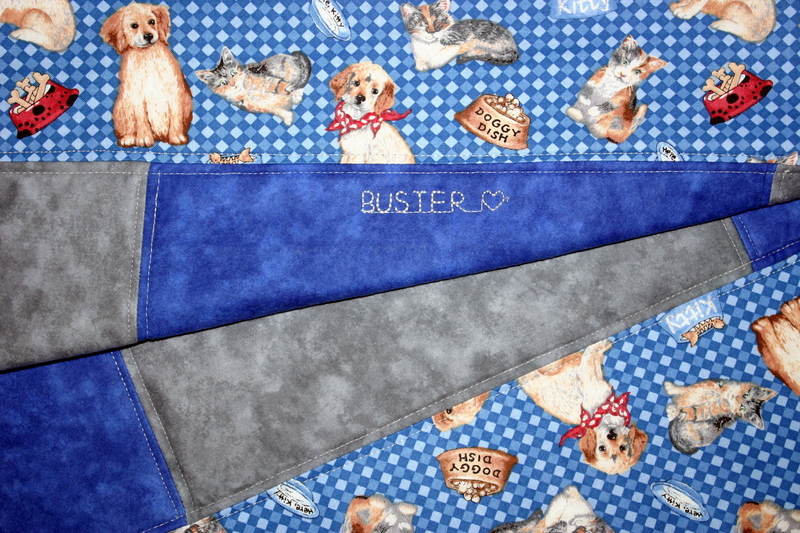 FOR BUSTER … thank you for your support! Just delivered and the first to be in our “2019” Anniversary Quilt! 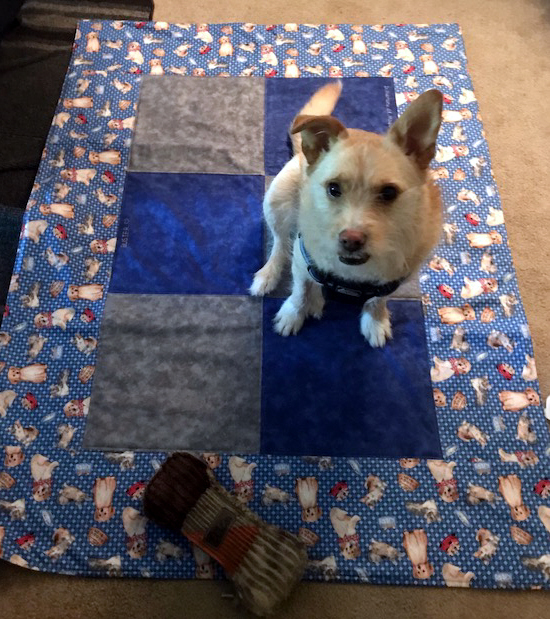 Buster carefully selected the print for his Maggie May blanket, handsome in blues! When Buster’s Mum wrote to us that “It’s like Buster instinctively knows it’s his and he loves it already”, how sweet is that! 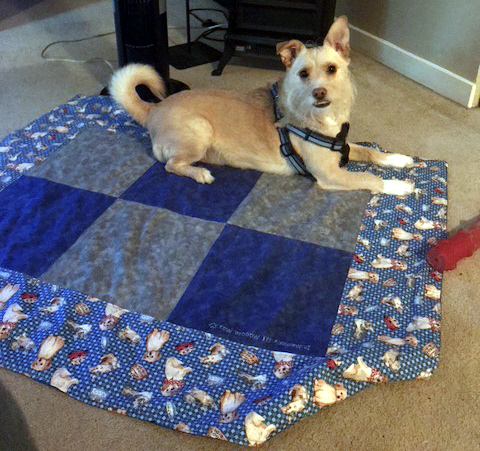 A happy customer supporting a pet in need! It was a sincere pleasure to meet Buster and his Mum, and we thank them for supporting the Maggie May fund.